There is heart shaped red box at the one side of “Scales of Justice” while there is money on the other side. 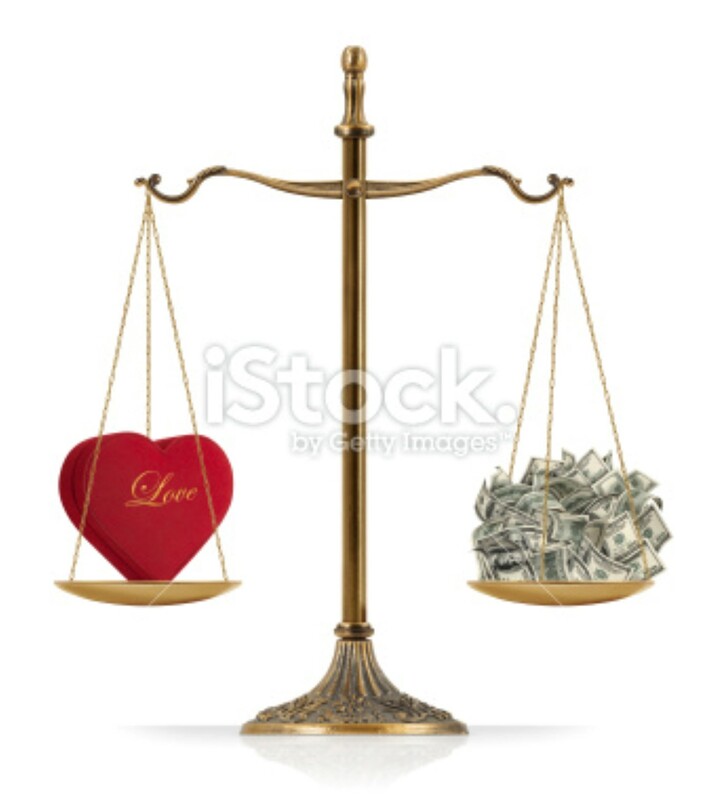 In this version, love and money are equal weighted. Clean image and isolated on white background. + Love is heavier than money. + Money is heavier than love.